Find out how much fuel consuming a Ford. For models, Ford Aspire, Ford Bantam, Ford C-Max, Ford Crown Victoria, Ford E-150, Ford E-250, Ford E-350, Ford Edge, Ford Escape, Ford Excursion, Ford Expedition, Ford Explorer, Ford F-150, Ford F-250, Ford F-350, Ford F-450, Ford Falcon, Ford Fiesta, Ford Five Hundred, Ford Focus, Ford Flex, Ford Freestyle, Ford Freestar, Ford Fusion, Ford Galaxy, Ford GT, Ford Ikon, Ford Ka, Ford Maverick, Ford Mondeo, Ford Mustang, Ford Ranger, Ford Shelby, Ford S-Max, Ford Sportka, Ford Taurus, Ford Territory, Ford Thunderbird, Ford Van E-150, Ford Van E-250, Ford Wagon E-150. Ford Freestyle fuel consumption, miles per gallon or litres/ km. Find out how much fuel consumed litres/ km or miles per gallon a Ford Freestyle. From year: 2005, 2006, 2007, 2008, 2009. How much fuel consumed Ford Freestyle 3.0 l, liters / 100 km or miles per gallon. Ford Freestyle it is a SUV. Car engine capacity: 2981 ccm (180,99 cubic inches). Car max power: 206.00 PS (151,24 kW or 201,99 HP) at 5750 Rev. per min. How much fuel consumed Ford Freestyle AWD 3.0 l, liters / 100 km or miles per gallon. Ford Freestyle AWD it is a SUV. Car engine capacity: 2983 ccm (181,11 cubic inches). The above information shows the orignial Ford Freestyle fuel consumption, miles per gallon or litres/ km that are taken from vehicle owners manual (book car). Consumption can be affected depending on the way the car is driven. Click hear to read more about how to save fuel on your Ford Freestyle and how can you improve fuel economy. If do you want to save gas and money. These tips will help you to drive more efficiently and maintaining your car. Follow our advices to improve the fuel economy of your car or truck. Whatever you drive, SUV, economic car, limousine, truck, can be small car, midsize car class, big car class, the tips it work for each one. Fuel consumption can be lower than 30% if you do so. You can also calculate how much is a full tank in money for Ford Freestyle. Leave a comment and tell us how much fuel consumes your Ford Freestyle. Ford Freestar fuel consumption, miles per gallon or litres/ km. Find out how much fuel consumed litres/ km or miles per gallon a Ford Freestar. From year: 2004, 2005, 2006, 2007. How much fuel consumed Ford Freestar 3.8 l, liters / 100 km or miles per gallon. 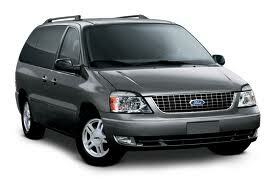 Ford Freestar Wagon SES from year 2005 it is a Van / Minivan. Car engine capacity: 3802 ccm (230,84 cubic inches). Car max power: 204.00 PS (149,25 kW or 200,00 HP) at 6000 Rev. per min. Car fuel tank capacity: 98.0 litres (25,76 gallons). How much fuel consumed Ford Freestar 3.9 l, liters / 100 km or miles per gallon. Ford Freestar Cargo it is a Cargo Van. Car engine capacity: 3900 ccm (236,79 cubic inches). Car max power: 196.7 PS (144,28 kW or 193,03 HP) at 6000 Rev. per min. Ford Freestar it is a SUV. Car max power: 197.00 PS (144,28 kW or 193,03 HP) at 4500 Rev. per min. Car fuel with mixed drive: 5.3 litres/100 km (44,33 miles per gallon). How much fuel consumed Ford Freestar 4.2 l, liters / 100 km or miles per gallon. Ford Freestar Wagon it is a Van / Minivan. Car engine capacity: 4195 ccm (254,70 cubic inches). Car max power: 204.00 PS (149,25 kW or 200,00 HP) at 4250 Rev. per min. Car fuel with highway drive: 10.4 litres/100 km (22,55 miles per gallon). Car fuel with mixed drive: 12.5 litres/100 km (18,68 miles per gallon). Car fuel with city drive: 14.0 litres/100 km (16,73 miles per gallon). The above information shows the orignial Ford Freestar fuel consumption, miles per gallon or litres/ km that are taken from vehicle owners manual (book car). Consumption can be affected depending on the way the car is driven. 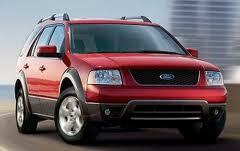 Click hear to read more about how to save fuel on your Ford Freestar and how can you improve fuel economy. If do you want to save gas and money. These tips will help you to drive more efficiently and maintaining your car. Follow our advices to improve the fuel economy of your car or truck. Whatever you drive, SUV, economic car, limousine, truck, can be small car, midsize car class, big car class, the tips it work for each one. Fuel consumption can be lower than 30% if you do so. You can also calculate how much is a full tank in money for Ford Freestar. Leave a comment and tell us how much fuel consumes your Ford Freestar. Ford Focus C-Max fuel consumption, miles per gallon or litres/ km. Find out how much fuel consumed litres/ km or miles per gallon a Ford Focus C-Max. From year: 2003, 2004, 2005, 2006, 2007, 2008, 2009, 2010, 2011, 2012, 2013. How much fuel consumed Ford Focus C-Max 1.6 TDCi, liters / 100 km or miles per gallon. Ford Focus C-Max 1.6 TDCi it is a Van / Minivan. Car engine capacity: 1560 ccm (94,71 cubic inches). Car max power: 90.7 PS (66,67 kW or 88,56 HP) at 3800 Rev. per min. Car fuel with mixed drive: 4.8 litres/100 km (48,76 miles per gallon). Car fuel tank capacity: 53.0 litres (13,93 gallons). How much fuel consumed Ford Focus C-Max 1.6 l, liters / 100 km or miles per gallon. Ford Focus C-Max 1.6 it is a Van / Minivan. Car engine capacity: 1596 ccm (96,90 cubic inches). Car max power: 100.00 PS (73,63 kW or 98,51 HP) at 6000 Rev. per min. Car fuel with mixed drive: 6.9 litres/100 km (33,92 miles per gallon). How much fuel consumed Ford Focus C-Max 1.8 TDCi, liters / 100 km or miles per gallon. 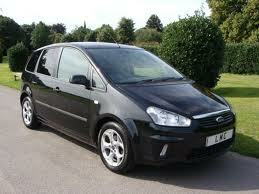 Ford Focus C-Max 1.8 TDCi it is a Van / Minivan. Car engine capacity: 1753 ccm (106,44 cubic inches). Car max power: 115.00 PS (84,58 kW or 112,44 HP) at 3800 Rev. per min. Car fuel with mixed drive: 5.4 litres/100 km (43,34 miles per gallon). How much fuel consumed Ford Focus C-Max 1.8 l, liters / 100 km or miles per gallon. Ford Focus C-MAX 1.8 it is a Van / Minivan. Car engine capacity: 1798 ccm (109,16 cubic inches). Car max power: 120.00 PS (87,56 kW or 117,41 HP) at 6000 Rev. per min. Car fuel with mixed drive: 7.2 litres/100 km (32,51 miles per gallon). How much fuel consumed Ford Focus C-Max 2.0 TDCi, liters / 100 km or miles per gallon. Ford Focus C-Max 2.0 TDCi it is a Van / Minivan. Car engine capacity: 1996 ccm (121,19 cubic inches). Car max power: 136.00 PS (99,50 kW or 133,33 HP) at 4000 Rev. per min. Car fuel with mixed drive: 5.6 litres/100 km (41,79 miles per gallon). How much fuel consumed Ford Focus C-Max 2.0 l, liters / 100 km or miles per gallon. Ford Focus C-MAX 2.0 it is a Van / Minivan. Car engine capacity: 1997 ccm (121,25 cubic inches). Car fuel with mixed drive: 7.3 litres/100 km (32,06 miles per gallon). The above information shows the orignial Ford Focus C-Max fuel consumption, miles per gallon or litres/ km that are taken from vehicle owners manual (book car). Consumption can be affected depending on the way the car is driven. Click hear to read more about how to save fuel on your Ford Focus C-Max and how can you improve fuel economy. If do you want to save gas and money. These tips will help you to drive more efficiently and maintaining your car. Follow our advices to improve the fuel economy of your car or truck. Whatever you drive, SUV, economic car, limousine, truck, can be small car, midsize car class, big car class, the tips it work for each one. Fuel consumption can be lower than 30% if you do so. 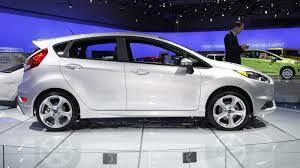 You can also calculate how much is a full tank in money for Ford Focus C-Max. Leave a comment and tell us how much fuel consumes your Ford Focus C-Max. Ford Focus fuel consumption, miles per gallon or litres/ km. Find out how much fuel consumed litres/ km or miles per gallon a Ford Focus. From year: 1998, 1999, 2000, 2001, 2002, 2003, 2004, 2005, 2006, 2007, 2008, 2009, 2010, 2011, 2012, 2013. 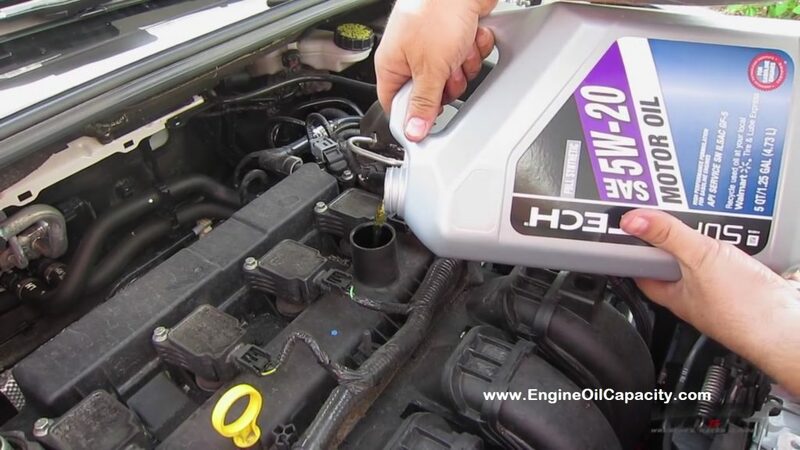 See here how to reset oil change required Ford Focus. How much fuel consumed Ford Focus 1.4 l, liters / 100 km or miles per gallon. 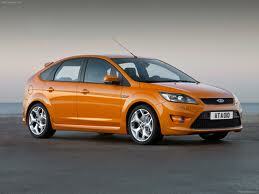 Ford Focus 1.4 it is a Family car. Car engine capacity: 1387 ccm (84,21 cubic inches). Car max power: 125.00 PS (91,54 kW or 122,39 HP) at 5500 Rev. per min. Car fuel with highway drive: 5.4 litres/100 km (43,34 miles per gallon). Car fuel with mixed drive: 6.6 litres/100 km (35,46 miles per gallon). Car fuel with city drive: 8.7 litres/100 km (26,90 miles per gallon). How much fuel consumed Ford Focus 1.6 l, liters / 100 km or miles per gallon. Ford Focus 1.6 it is a Family car. Car engine capacity: 1595 ccm (96,84 cubic inches). Car max power: 133.00 PS (97,51 kW or 130,35 HP) at 6000 Rev. per min. Car fuel with highway drive: 5.5 litres/100 km (42,56 miles per gallon). Car fuel with mixed drive: 6.7 litres/100 km (34,93 miles per gallon). How much fuel consumed Ford Focus 1.6 TDCI, liters / 100 km or miles per gallon. Ford Focus 1.6 TDCI it is a Family car. Car engine capacity: 1599 ccm (97,08 cubic inches). Car max power: 136.90 PS (100,50 kW or 134,33 HP) at 4000 Rev. per min. Car fuel with highway drive: 4.0 litres/100 km (58,52 miles per gallon). Car fuel with city drive: 6.2 litres/100 km (37,75 miles per gallon). Car fuel tank capacity: 45.0 litres (11,83 gallons). How much fuel consumed Ford Focus 1.8 l, liters / 100 km or miles per gallon. Ford Focus 1.8 it is a Station Wagons Estate. Car engine capacity: 1796 ccm (109,04 cubic inches). Car max power: 115.7 PS (84,58 kW or 113,43 HP) at 5500 Rev. per min. Car fuel with mixed drive: 7.5 litres/100 km (31,20 miles per gallon). Car fuel tank capacity: 55.0 litres (14,46 gallons). Ford Focus engine, oil pan, lubricant capacity. How much fuel consumed Ford Focus 1.8 TDCi, liters / 100 km or miles per gallon. Ford Focus 1.8 TDCi it is a Family car. How much fuel consumed Ford Focus 2.0 l, liters / 100 km or miles per gallon. Ford Focus it is a Family car. Car engine capacity: 1989 ccm (120,76 cubic inches). Car max power: 110.00 PS (80,60 kW or 107,46 HP) at 5000 Rev. per min. Car fuel with highway drive: 6.5 litres/100 km (35,84 miles per gallon). Car fuel with mixed drive: 7.6 litres/100 km (30,84 miles per gallon). Car fuel with city drive: 8.7 litres/100 km (26,87 miles per gallon). Car fuel tank capacity: 57.0 litres (14,98 gallons). How to change Ford Focus cabin air filter location. How much fuel consumed Ford Focus 2.0 TDCI, liters / 100 km or miles per gallon. Ford Focus 2.0 TDCI it is a Family car. Car engine capacity: 1999 ccm (121,37 cubic inches). Car max power: 137.6 PS (100,50 kW or 135,32 HP) at 4000 Rev. per min. Car fuel with highway drive: 4.6 litres/100 km (50,87 miles per gallon). Car fuel with city drive: 7.4 litres/100 km (31,63 miles per gallon). How much fuel consumed Ford Focus 2.5 ST, liters / 100 km or miles per gallon. Ford Focus 2.5 ST it is a Cabrio / Sport Car. Car engine capacity: 2522 ccm (153,12 cubic inches). Car max power: 226.00 PS (165,17 kW or 221,89 HP) at 6000 Rev. per min. Car fuel with mixed drive: 9.3 litres/100 km (25,16 miles per gallon). The above information shows the orignial Ford Focus fuel consumption, miles per gallon or litres/ km that are taken from vehicle owners manual (book car). Consumption can be affected depending on the way the car is driven. 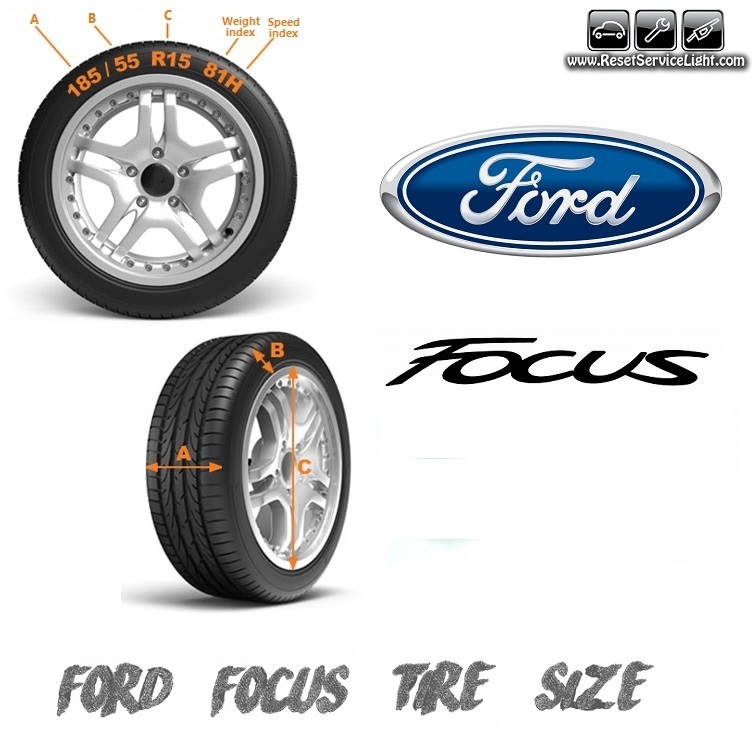 Click hear to read more about how to save fuel on your Ford Focus and how can you improve fuel economy. If do you want to save gas and money. These tips will help you to drive more efficiently and maintaining your car. Follow our advices to improve the fuel economy of your car or truck. Whatever you drive, SUV, economic car, limousine, truck, can be small car, midsize car class, big car class, the tips it work for each one. Fuel consumption can be lower than 30% if you do so. You can also calculate how much is a full tank in money for Ford Focus. Leave a comment and tell us how much fuel consumes your Ford Focus. Ford Flex fuel consumption, miles per gallon or litres/ km. Find out how much fuel consumed litres/ km or miles per gallon a Ford Flex. From year: 2009, 2010, 2011, 2012, 2013. How much fuel consumed Ford Flex 3.5 l, liters / 100 km or miles per gallon. Ford Flex it is a SUV. Car engine capacity: 3496 ccm (212,26 cubic inches). Car max power: 266.00 PS (195,02 kW or 260,69 HP) at 6250 Rev. per min. The above information shows the orignial Ford Flex fuel consumption, miles per gallon or litres/ km that are taken from vehicle owners manual (book car). Consumption can be affected depending on the way the car is driven. 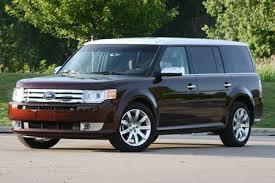 Click hear to read more about how to save fuel on your Ford Flex and how can you improve fuel economy. If do you want to save gas and money. These tips will help you to drive more efficiently and maintaining your car. Follow our advices to improve the fuel economy of your car or truck. Whatever you drive, SUV, economic car, limousine, truck, can be small car, midsize car class, big car class, the tips it work for each one. Fuel consumption can be lower than 30% if you do so. You can also calculate how much is a full tank in money for Ford Flex. Leave a comment and tell us how much fuel consumes your Ford Flex. Ford Five Hundred fuel consumption, miles per gallon or litres/ km. Find out how much fuel consumed litres/ km or miles per gallon a Ford Five Hundred. From year: 2004, 2005, 2006, 2007. How much fuel consumed Ford Five Hundred 3.0 l, liters / 100 km or miles per gallon. 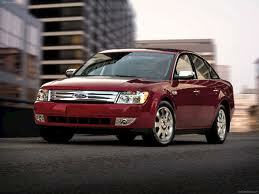 Ford Five Hundred it is a Family car. Car fuel with highway drive: 9.1 litres/100 km (25,86 miles per gallon). The above information shows the orignial Ford Five Hundred fuel consumption, miles per gallon or litres/ km that are taken from vehicle owners manual (book car). Consumption can be affected depending on the way the car is driven. 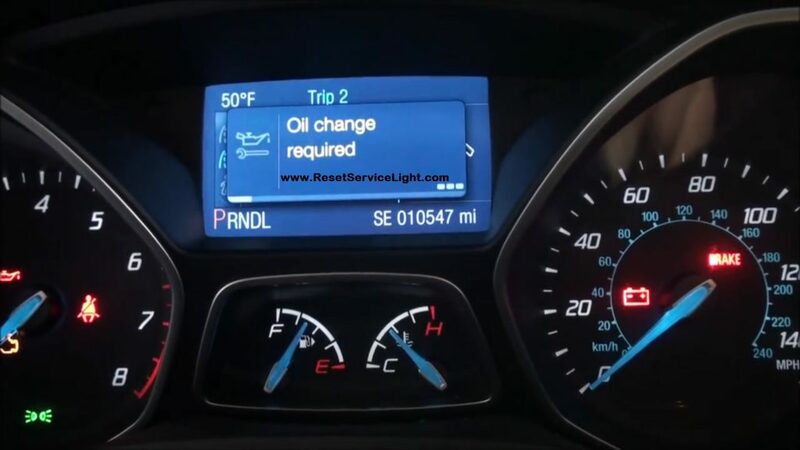 Click hear to read more about how to save fuel on your Ford Five Hundred and how can you improve fuel economy. If do you want to save gas and money. These tips will help you to drive more efficiently and maintaining your car. Follow our advices to improve the fuel economy of your car or truck. Whatever you drive, SUV, economic car, limousine, truck, can be small car, midsize car class, big car class, the tips it work for each one. Fuel consumption can be lower than 30% if you do so. You can also calculate how much is a full tank in money for Ford Five Hundred. Leave a comment and tell us how much fuel consumes your Ford Five Hundred. Ford Fiesta fuel consumption, miles per gallon or litres/ km. Find out how much fuel consumed litres/ km or miles per gallon a Ford Fiesta. From year: 1990, 1991, 1992, 1993, 1994, 1995, 1996, 1997, 1998, 1999, 2000, 2001, 2002, 2003, 2004, 2005, 2006, 2007, 2008, 2009, 2010, 2011, 2012, 2013. How much fuel consumed Ford Fiesta 1.25 l, liters / 100 km or miles per gallon. Ford Fiesta 1.25 it is a Small / Economy Car. Car engine capacity: 1242 ccm (75,41 cubic inches). Car max power: 60.00 PS (43,78 kW or 58,71 HP) at 6000 Rev. per min. How much fuel consumed Ford Fiesta 1.3 l, liters / 100 km or miles per gallon. Ford Fiesta 1.3 it is a Small / Economy Car. Car engine capacity: 1298 ccm (78,80 cubic inches). Car max power: 70.00 PS (50,75 kW or 68,66 HP) at 5600 Rev. per min. How much fuel consumed Ford Fiesta 1.4 l, liters / 100 km or miles per gallon. Ford Fiesta 1.4 it is a Small / Economy Car. Car engine capacity: 1388 ccm (84,28 cubic inches). Car max power: 80.00 PS (58,71 kW or 78,61 HP) at 5700 Rev. per min. Car fuel with mixed drive: 6.4 litres/100 km (36,57 miles per gallon). How much fuel consumed Ford Fiesta 1.4 TDCi, liters / 100 km or miles per gallon. Ford Fiesta 1.4 TDCi it is a Small / Economy Car. Car engine capacity: 1399 ccm (84,94 cubic inches). Car max power: 67,66.7 PS (50,75 kW or 67,66 HP) at 4000 Rev. per min. Car fuel with mixed drive: 4.3 litres/100 km (54,43 miles per gallon). Car fuel tank capacity: 43.0 litres (11,30 gallons). How much fuel consumed Ford Fiesta 1.6 TDCi, liters / 100 km or miles per gallon. Ford Fiesta 1.6 TDCi it is a Small / Economy Cars. Car max power: 90.00 PS (65,67 kW or 88,56 HP) at 3900 Rev. per min. Car fuel with mixed drive: 4.9 litres/100 km (48,26 miles per gallon). How much fuel consumed Ford Fiesta 1.6 l, liters / 100 km or miles per gallon. Ford Fiesta 1.6 it is a Small / Economy Cars. How much fuel consumed Ford Fiesta ST 2.0 l, liters / 100 km or miles per gallon. Ford Fiesta 2.0 ST it is a Small / Economy Cars. Car max power: 150.00 PS (109,45 kW or 147,26 HP) at 6000 Rev. per min. Car fuel with mixed drive: 7.4 litres/100 km (31,63 miles per gallon). The above information shows the orignial Ford Fiesta fuel consumption, miles per gallon or litres/ km that are taken from vehicle owners manual (book car). Consumption can be affected depending on the way the car is driven. Click hear to read more about how to save fuel on your Ford Fiesta and how can you improve fuel economy. If do you want to save gas and money. These tips will help you to drive more efficiently and maintaining your car. Follow our advices to improve the fuel economy of your car or truck. Whatever you drive, SUV, economic car, limousine, truck, can be small car, midsize car class, big car class, the tips it work for each one. Fuel consumption can be lower than 30% if you do so. You can also calculate how much is a full tank in money for Ford Fiesta. Leave a comment and tell us how much fuel consumes your Ford Fiesta. Ford Falcon fuel consumption, miles per gallon or litres/ km. Find out how much fuel consumed litres/ km or miles per gallon a Ford Falcon. From year: 1990, 1991, 1992, 1993, 1994, 1995, 1996, 1997, 1998, 1999, 2000, 2001, 2002, 2003, 2004, 2005, 2006, 2007, 2008, 2009, 2010, 2011, 2012, 2013. How much fuel consumed Ford Falcon 4.0 l, liters / 100 km or miles per gallon. Ford Falcon it is a Large / Luxury Car. Car engine capacity: 3984 ccm (241,88 cubic inches). Car max power: 223.10 PS (163,18 kW or 218,90 HP) at 4900 Rev. per min. Car fuel tank capacity: 59.0 litres (15,51 gallons). The above information shows the orignial Ford Falcon fuel consumption, miles per gallon or litres/ km that are taken from vehicle owners manual (book car). Consumption can be affected depending on the way the car is driven. 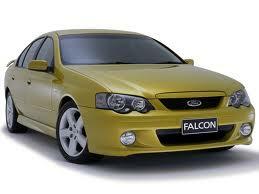 Click hear to read more about how to save fuel on your Ford Falcon and how can you improve fuel economy. If do you want to save gas and money. These tips will help you to drive more efficiently and maintaining your car. Follow our advices to improve the fuel economy of your car or truck. Whatever you drive, SUV, economic car, limousine, truck, can be small car, midsize car class, big car class, the tips it work for each one. Fuel consumption can be lower than 30% if you do so. You can also calculate how much is a full tank in money for Ford Falcon. Leave a comment and tell us how much fuel consumes your Ford Falcon. Ford F-450 fuel consumption, miles per gallon or litres/ km. 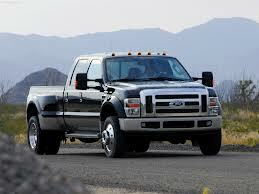 Find out how much fuel consumed litres/ km or miles per gallon a Ford F-450. From year: 1990, 1991, 1992, 1993, 1994, 1995, 1996, 1997, 1998, 1999, 2000, 2001, 2002, 2003, 2004, 2005, 2006, 2007, 2008, 2009, 2010, 2011, 2012, 2013. How much fuel consumed Ford F-450 6.4 SD, liters / 100 km or miles per gallon. Ford F-450 SD Crew Cab it is a Pickup Trucks. Car engine capacity: 6400 ccm (388,58 cubic inches). Car max power: 330.7 PS (241,79 kW or 324,37 HP) at 3000 Rev. per min. Car fuel with mixed drive: 7.1 litres/100 km (32,96 miles per gallon). Car fuel tank capacity: 144.0 litres (37,85 gallons). The above information shows the orignial Ford F-450 fuel consumption, miles per gallon or litres/ km that are taken from vehicle owners manual (book car). Consumption can be affected depending on the way the car is driven. Click hear to read more about how to save fuel on your Ford F-450 and how can you improve fuel economy. If do you want to save gas and money. These tips will help you to drive more efficiently and maintaining your car. Follow our advices to improve the fuel economy of your car or truck. Whatever you drive, SUV, economic car, limousine, truck, can be small car, midsize car class, big car class, the tips it work for each one. Fuel consumption can be lower than 30% if you do so. You can also calculate how much is a full tank in money for Ford F-450. Leave a comment and tell us how much fuel consumes your Ford F-450. Ford F-350 fuel consumption, miles per gallon or litres/ km. Find out how much fuel consumed litres/ km or miles per gallon a Ford F-350. From year: 1990, 1991, 1992, 1993, 1994, 1995, 1996, 1997, 1998, 1999, 2000, 2001, 2002, 2003, 2004, 2005, 2006, 2007, 2008, 2009, 2010, 2011, 2012, 2013. How much fuel consumed Ford F-350 5.4 4×4, liters / 100 km or miles per gallon. Ford F-350 4×4 it is a Pickup Trucks. Car engine capacity: 5400 ccm (327,86 cubic inches). Car max power: 304.7 PS (222,88 kW or 299,50 HP) at 5000 Rev. per min. Car fuel tank capacity: 115.0 litres (30,23 gallons). The above information shows the orignial Ford F-350 fuel consumption, miles per gallon or litres/ km that are taken from vehicle owners manual (book car). Consumption can be affected depending on the way the car is driven. 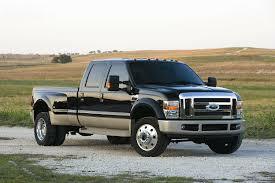 Click hear to read more about how to save fuel on your Ford F-350 and how can you improve fuel economy. If do you want to save gas and money. 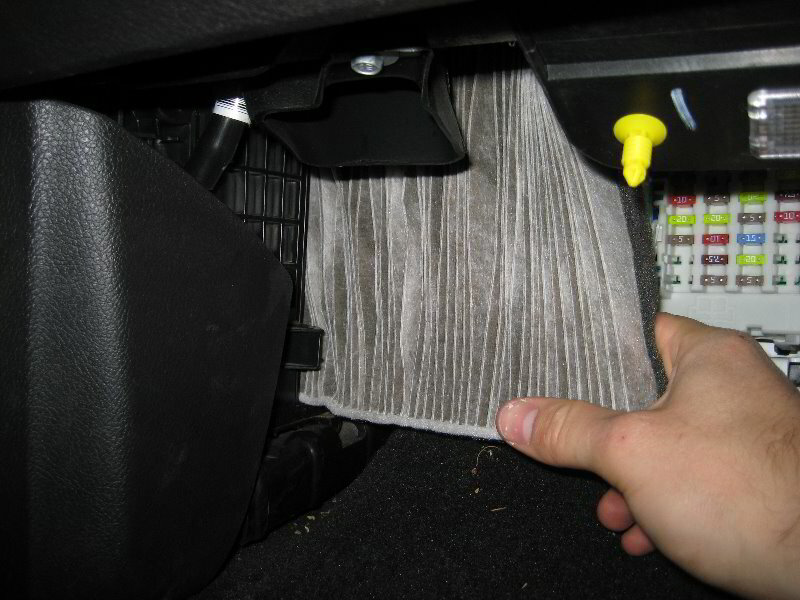 These tips will help you to drive more efficiently and maintaining your car. Follow our advices to improve the fuel economy of your car or truck. Whatever you drive, SUV, economic car, limousine, truck, can be small car, midsize car class, big car class, the tips it work for each one. Fuel consumption can be lower than 30% if you do so. You can also calculate how much is a full tank in money for Ford F-350. Leave a comment and tell us how much fuel consumes your Ford F-350.